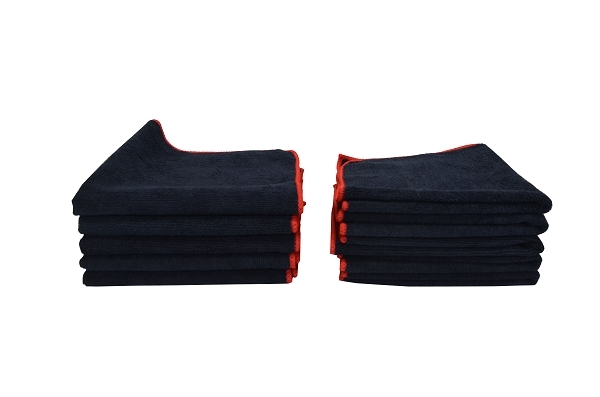 This 12 Pack of our All- Purpose Black Microfiber Towels are made of a high quality microfiber blend, this cloth is great for removing fingerprints, smudges and other oil-based grime from all surfaces including glass, plastic, vinyl and painted surfaces. If you have issues cleaning windows like most people do these towels will definitely make your life easier and save time when detailing cars! We love using this microfiber towel on windows, mirrors, dash boards, door panels and even as a final wipe down on painted surfaces. Of course if you are going to use these to clean windows be sure not to cross contaminate them with other towels when laundering them. Our Micro Klean is the perfect detergent for laundering all of your towels. 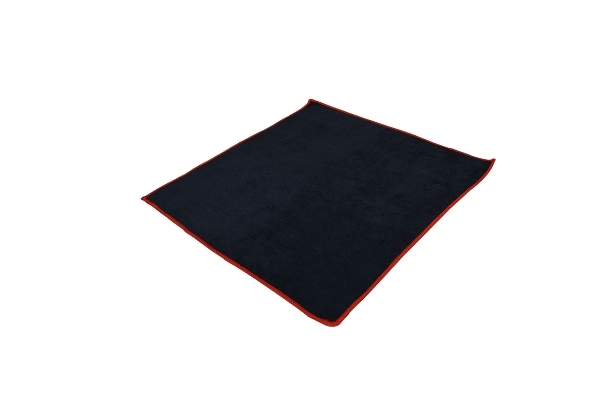 These high quality microfiber towels are black with a red border and are a 80% polyester / 20% nylon blend and are 14” x 14”. Both our RTU Glass Cleaner & Crisp Glass Cleaner work great with these towels and are packaged in quantities of 10 and are in stock and ready to ship. These are great on windows and mirrors and we have found that they can also be used very effectively on cleaning interior vinyl components of cars and trucks. These microfiber towels are a must for a professional detailer or car enthusiast.